[Bakura] HAHAHAHAHAHAHAHA! [Yami] Oh, THIS guy. Yep. All that dialogue originally belonged to Prince. No regrets! 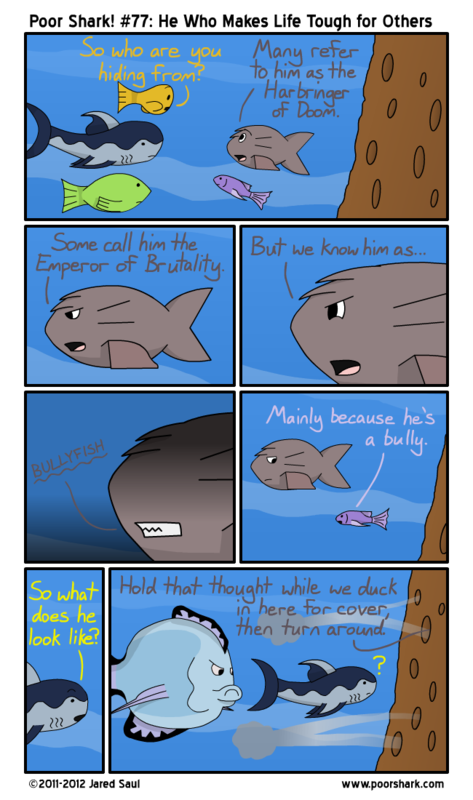 Mannn, this means that when I add Bullyfish to the Cast page I’ll have to decide if his “First appearance” comic is this one or #2. Or #11. Or #49. Shoot, this guy’s actually been all over.